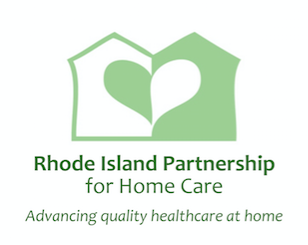 The Rhode Island Partnership for Home Care is the statewide trade association for organizations and individuals who provide or promote health care and supportive services in the home. Founded in 1990 to encourage the development and delivery of quality home care and hospice services throughout the state of RI, the Partnership now represents over 40 organizational members and additional associate, supporting and individual members. 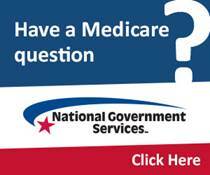 Organizational members include nonprofit organizations, Medicare certified agencies, proprietary businesses, small companies and local affiliates of national organizations. A goal of the Partnership is to meet the diverse needs of its all inclusive membership. 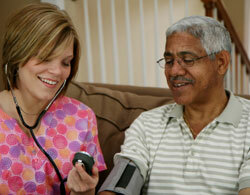 Keeping You Informed with the latest information about the events and issues shaping the home care profession. Educating Your Staff through dozens of programs designed to sharpen skills and stay up-to-date on new developments, all at reduced rates for members. Advocating for You by working closely with lawmakers and regulators to advance our members’ interests, both on Smith Hill and in Washington. Keeping You Connected through membership meetings, email discussions and, coming new this year, an electronic newsletter and dynamic website that facilitate peer-to-peer networking, information exchange, and support. RIPHC believes that the highest standards of patient care and integrity in business practices are the most effective ways to establish and retain public confidence. RIPHC members strive for quality in service delivery and commit themselves to maintaining the highest of ethical standards. As the voice for the homecare and hospice industry, RI PHC is committed to ensuring that the culture of the industry is grounded in ethical behavior and fair practices . Act in good faith, follow sound business practices, and represent services and products accurately and truthfully.